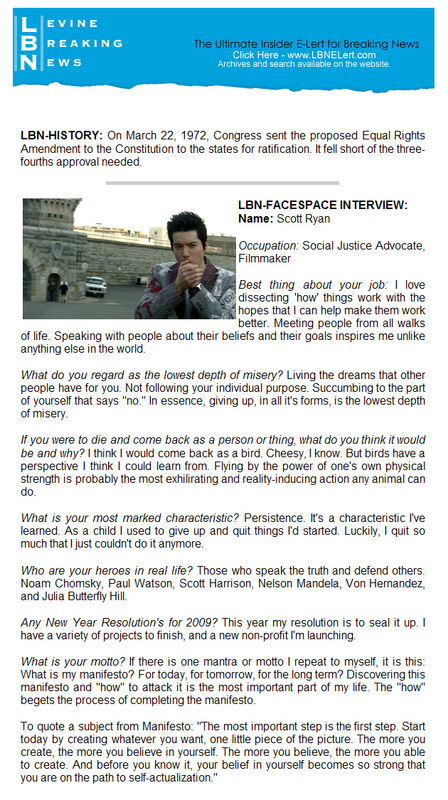 Social Action Films That Matter, Moviemaker Magazine, Article (Interview), 2015. Ban on Microbeads Proves Easy to Pass Through Pipeline, New York Times, Article, 2015. 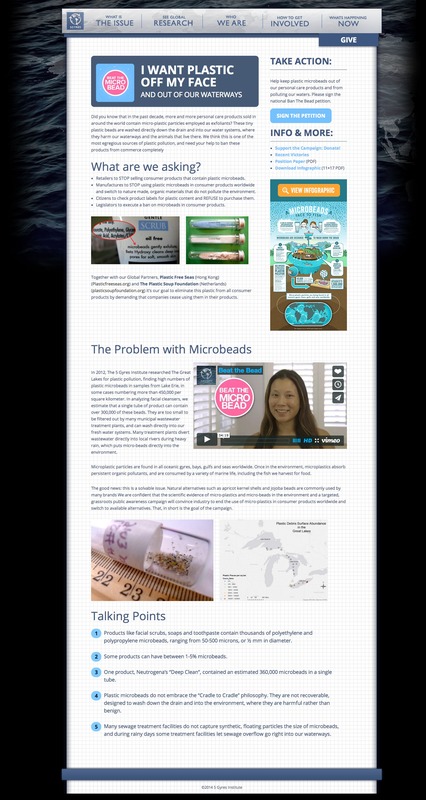 4 Lessons Learned from Passing Microbeads Legislation, Article, 2015. 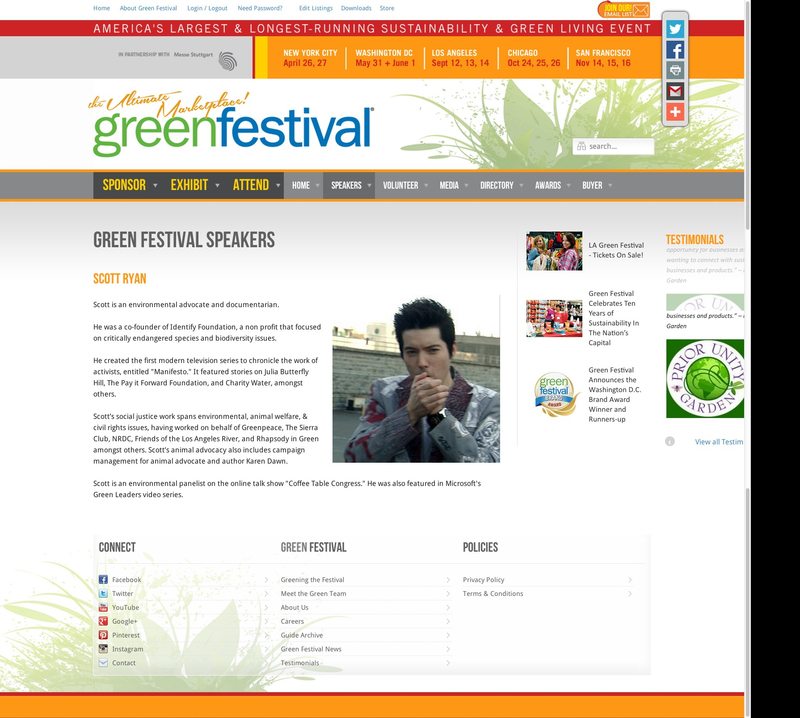 Green Festival, Storytelling for Impact, Speaker, 2014. Kopkind Colony Announcement, Center for Independent Documentary, Article, 2014. Micro$oft Green Leaders, Video Series (Profile), 2013. 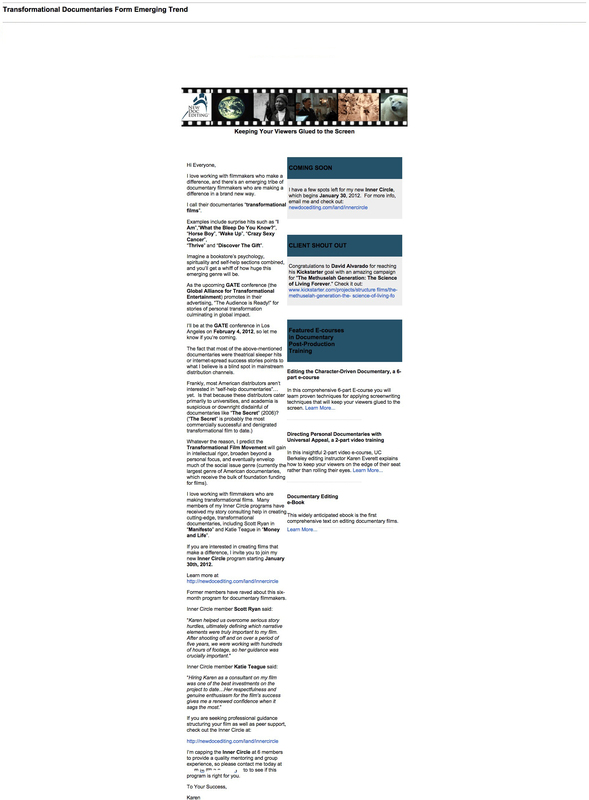 The New Documentary Movement, Article, 2012. Transformational Documentaries Form Emerging Trend, Article 2012. Non Fiction’s Future Lies in Optimism, SF360, Article 2011. Supreme Master Television, Video Interview, 2011. 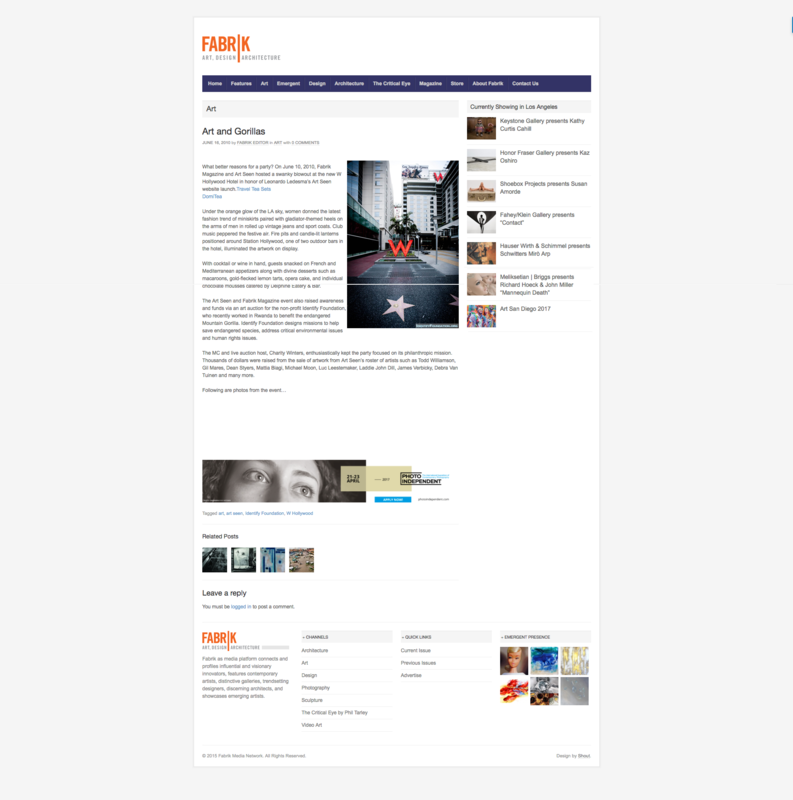 Art and Gorillas, (Identify Foundation Fundraiser), Fabrik Magazine, Article 2011. The Surreal Life, Article, 2008. Levine Breaking News, Hollywood Insider, 2008.
eWorld Media, Video Interview, 2008. 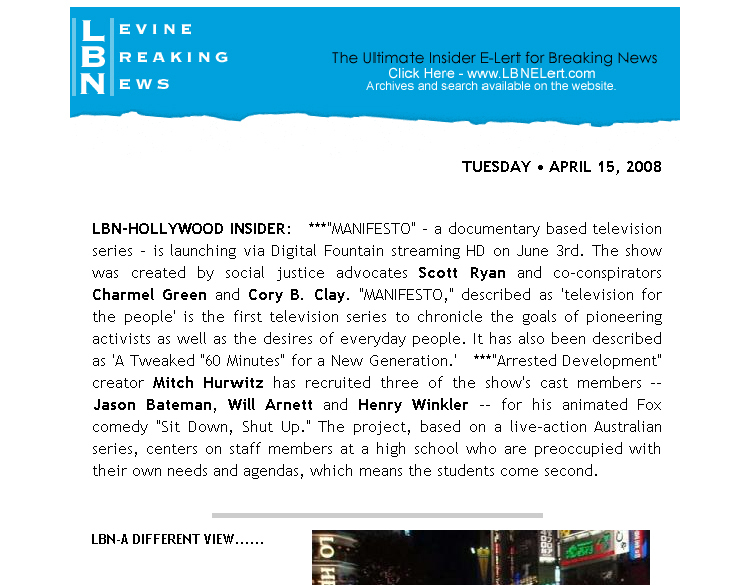 Levine Breaking News, Interview, 2007. KLAS FM Radio, Interview, 2006. The Manifesto of Manifesto!, Article, 2006. Twyman Creative Conference, Panelist / Speaker, 2005. Sphere Magazine Fundraiser, Host, 2004. The John Kerwin Show (Transcript), 2004. Gorilla Madness, Kansas City Star, Article. Renegade Theatre (Various), Lawrence Journal World, Articles. Dead Parents – A Revenge Comedy, Lawrence Journal World, Article.